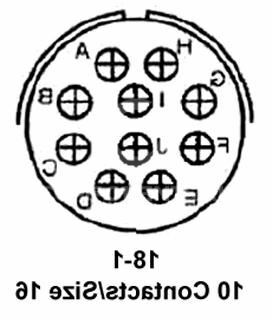 The MS3106F18-1S is a 10-contact military standard Circular Connector with silver-plated copper contacts, straight plug, environment-resistant with strain relief, 18-1 insert arrangement and socket contact type. Shell components are fabricated from high grade aluminium alloy. The standard hardware plating is electrically conductive cadmium-plated finish with an olive drab chromate after-treatment for corrosion resistance. Resilient neoprene inserts provide an outstanding moisture barrier, high dielectric strength and resistance to vibration. This connector represents well-proven electrical capability at an acceptable cost for most equipment where durability is important. MIL-C-5015 features threaded coupling, single key and keyway polarization representing maximum simplicity in design. 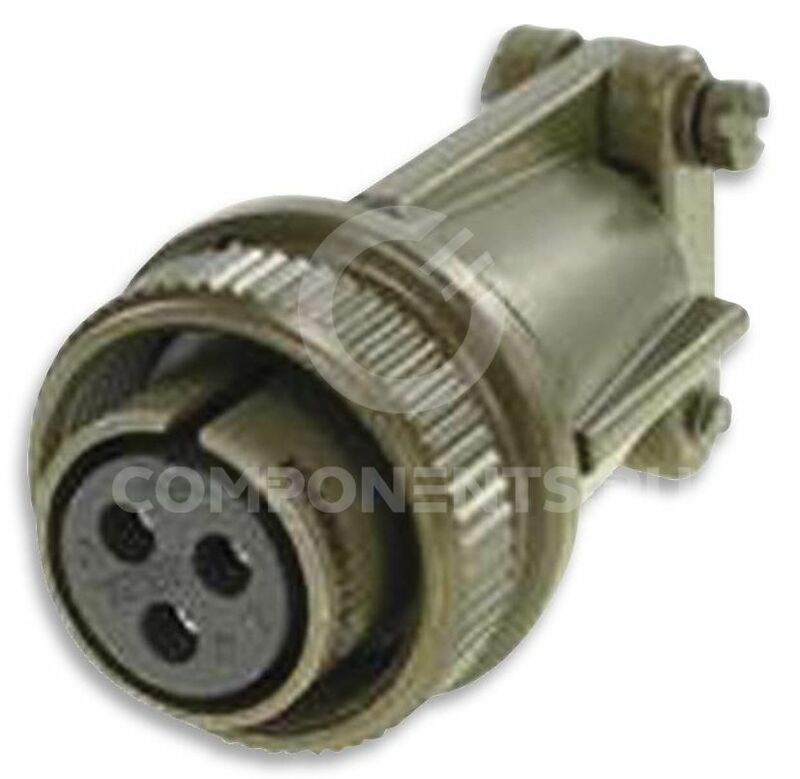 This connector is recommended for conditions where vibration, moisture, pressure and temperature are extreme. Suitable for ordnance and shipboard installation. Вы можете купить MS3106F18-1S от 1 штуки или оптом, работаем по безналичному расчету с юр. лицами. MS3106F18-1S 21 шт. в наличии на складе. Ждем ваших заявок! Цена MS3106F18-1S зависит от объёма заказа, на данный момент стоимость MS3106F18-1S в нашей компании составляет от 1984.61 руб. Cрок поставки и конечная цена рассчитывается индивидуально для каждого клиента.